At Holy Family, “Religious Education is a proper subject in its own right in the school’s curriculum. It is a rigorous academic discipline, and as such it is taught, developed and resourced with the same commitment as any other subject. 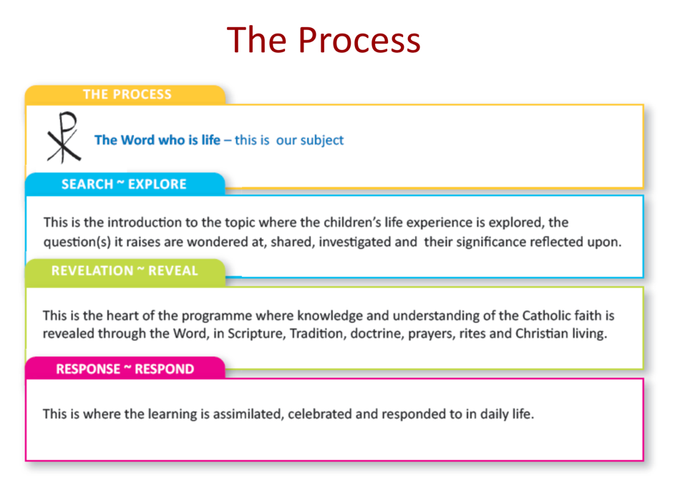 At Holy Family the 'Come and See' programme forms the basis of the religious teaching within the school. This programme involves parents who are the first educators of their children. 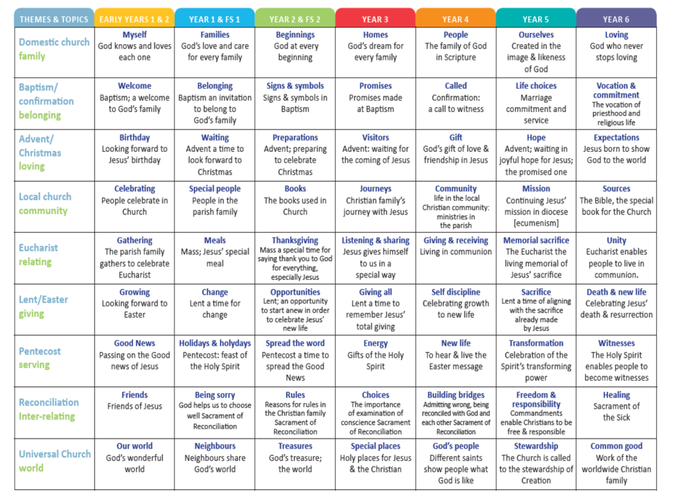 Class assemblies, Class and School Masses, for the children and their parents, are means used to organise the life and worship of the school and through which we strive to link R.E. to the home in order to form a caring, Christian community. Come and See materials for Other Faiths include background information, resources and teaching materials for two weeks for Foundation to Year 6.